Several runners noted how comfortable the Sublite XT Cushion 2.0 is. The shoe runs very light, based on the comments of some runners. It is quite breathable, as noted by a handful. The low cut design and flexibility makes it friendly to a runner’s natural stride, remarked a small number of runners. It is very stylish, as remarked by a significant number of runners. A large number of reviewers reported that it fits true to size. The open mesh is excellent for breathability. A heel tab allows for convenience during shoe exit or entry. The gym is also another place where people can easily see this shoe. A few reviewers took notice of the lack of traction during rainy days. The durability was disappointing for a handful of runners. A handful preferred more arch support from the 2nd version of the Sublite XT Cushion. The 2nd instalment of the Subtlite XT Cushion is a lightweight trainer that can tackle most distances in different speeds. For a very affordable price, runners can enjoy a shoe that has decent arch support, superb comfort, soft cushioning, excellent flexibility, and aesthetic appeal that belies the price tag. It works the way Reebok designed it without fuss. The Reebok Sublite XT Cushion 2.0 has been one of my running shoes for over a year now. I've been running with them for over 300 miles now. I’ve used them for a whole range of activities, and they’ve been effective throughout whilst still providing comfort. Below I’ll go into more detail on how I’ve used this shoe and what it feels like to run in. I went for this shoe off the back of having two pairs of supportive shoes that I found too heavy for faster-paced runs. I found these to provide a good level of cushioning with the responsiveness I would expect of a shoe with a much lower heel drop. It gives a good bounce to your run without feeling a loss of control. I’ve used this shoe for running, walking and in the gym. It’s been versatile and effective across all, whether it be squatting, running a lunchtime (10K) or climbing Snowden (admittedly for this one, walking shoes might have been a smarter choice in the rain). Over shorter distances is where this trainer really comes into its own. The responsiveness and cushioning allows for a great stride, fast pace whilst still feeling the road beneath you and quick changes of direction. For general use, this trainer is attractive unlike a lot of other running trainers. It’s understated and can be worn casually with jeans. Going from heavy support shoes to these, I thought I would need time to acclimatize, but almost instantly these felt normal. They gave a much more responsive feel than what I was used to and were so light on the feet. I felt much better running at a fast pace. Comfort wise, this shoe really delivers. I’m someone who is prone to getting blisters, something that I haven’t struggled with in this shoe even after a 14 mile run up and down the coast of Sydney. The only thing I could feel was my big toe due to being an overpronator. The upper is light, breathable and protective giving a comfortable feel throughout activities. Underfoot it helps you along with a great level of flexibility and decent bounce whilst still being responsive to changes in direction and pace. The grip is one of the only downsides. You’ll never have a problem running on road, but not during rain or a muddy park run. It can result in a loss of grip and a few hairy moments round corners. The same can be said for items getting lodged in the gaps of the sole, doesn’t happen often but can be annoying when it does. 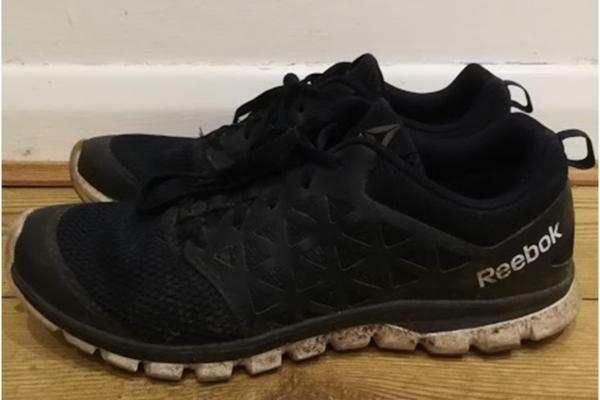 Overall, the Reebok Sublite XT Cushion 2.0 is a great medium distance, lightweight, breathable running shoe at a reasonable price that lasts longer than the price would suggest. It may struggle on a wet, muddy day, but on a dry road run, you won’t find much better at such a great price. The upper receives all of the changes in the Reebok Sublite Xt Cushion 2.0. Reebok’s biggest modification is the removal of the huge midfoot straps on both sides of the shoe. Instead of those weight-inducing straps, Reebok replaced it with a network of thin synthetic overlays that form a side wall. It makes the shoe more forgiving and with the same midfoot hold without the bulk or the cumbersome look. As the network of overlays extends to the heel, it forms a pliable heel counter. The heel counter serves as added support for a neutral shoe that is designed to be a fast trainer. Another upgrade in the heel is a new heel loop. The loop offers more convenience during foot entry or exit. The tongue of the Sublite XT Cushion 2.0 is almost molded, instead of the flat version of the prior model. It is a bit thinner, but really frames the foot well for more comfort and enhanced next to skin feel. The laces are flatter this time around with better texture so the fit stays tied from start to finish. The enhancements in the Reebok Sublite XT 2.0 give the shoe added security in the heel while the midfoot continues to be quite snug. There is decent enough room in the forefoot for runners with different foot widths. The sizing is standard in the shoe. The outsole of the XT Cushion 2 from Reebok is fairly flat rubber with deep flex grooves from the heel to the forefoot giving the shoe excellent flexibility. Reebok uses hard carbon rubber in the heel and the section beneath the metatarsals for enhanced durability. A one-piece Sublite foam spans the heel to the forefoot. It is extremely light and quite durable with observable responsiveness. Reebok covers the entire length of the midsole with this foam for enhanced transitions in the gait cycle. The upper coverage is courtesy of a really breathable mesh with support and structure coming from synthetic leather overlays. These overlays form a sidewall around the midfoot for excellent midfoot hold without being overbearing. The same material used in the midfoot extends to the heel for enhanced support and security. Reebok includes a heel loop in the XT Cushion 2.0 for more convenience while a Memory Tech sockliner improves cushioning and plush feel. For cinching, flat and textured laces get the job done.